A cracking number of Easter eggs have been collected for County Durham families in need thanks to generous donations. In the lead up to Easter, Durham County Council sought to make sure that all families can join in the festive fun by calling for sweet treats. 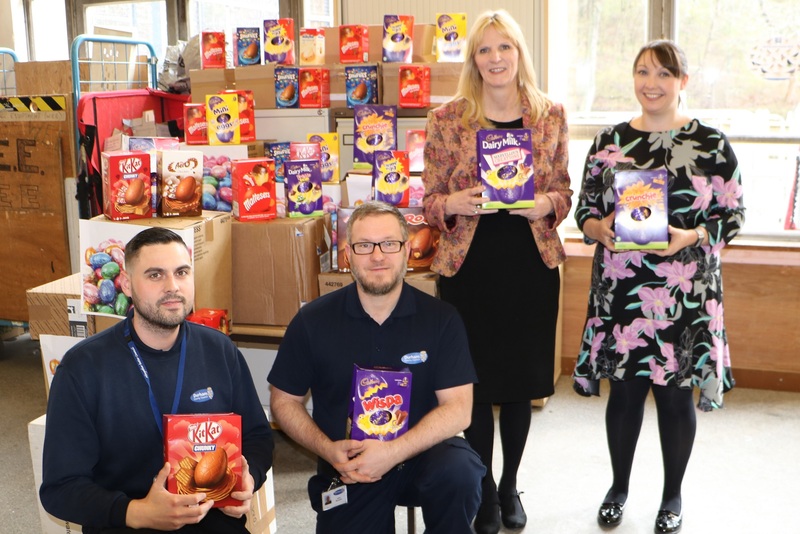 More than 500 Easter eggs have been donated by council staff and councillors at egg collection points across the council’s offices, buildings and depots. These chocolate delights are being distributed through the county’s Area Action Partnerships (AAPs) networks to a range local community groups, children’s charities and to families in need. Cllr Jane Brown, Cabinet member for social inclusion, said: “All families should be able to share in special holidays such as Easter and be able to enjoy the treats and gift-giving that come with it. We organised the collection as we don’t want any child to miss out regardless of their circumstances.